The world of entertainment is filled with missed opportunities. Great unproduced scripts for shows or movies. Unfinished books. Actors that could have played legendary parts but for some reason lost their chance. Television is a graveyard of missed opportunities, from shows never produced to shows cancelled way too soon (I still mourn Cupid and Northern Exposure). Of course, sometimes those missed opportunities can be found in the actual execution of the series, turning a fun idea with a good cast until a mediocre yawn (How I Met Your Mother) . After writing a post a few weeks ago on my rediscovered love of Star Trek: The Next Generation (you can read that post here), it made me wonder about the other Star Trek shows… the ones we have all forgotten, some sadly and some for very good reasons. 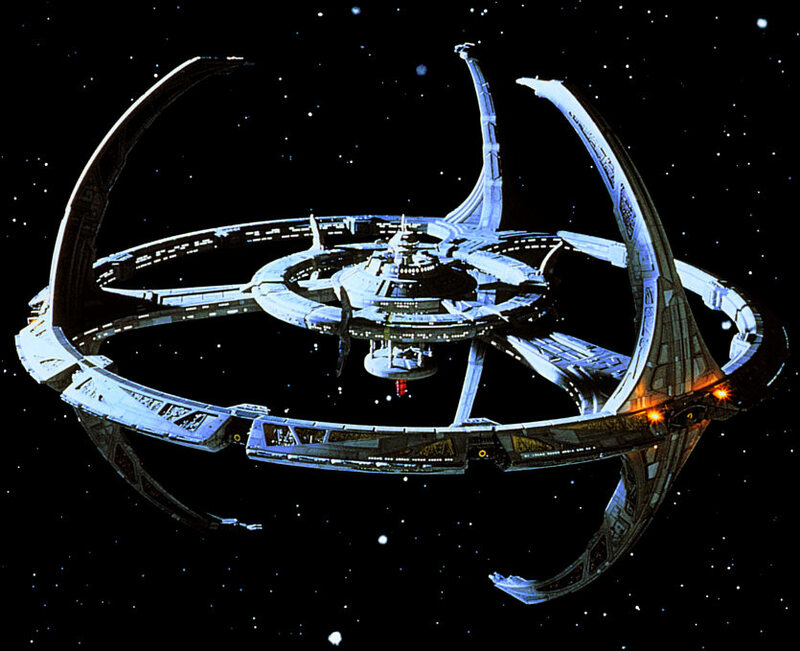 Deep Space Nine is a space station out in one of the farthest reaches of the Alpha Quadrant. Also, to make things more complicated, it is located in the middle of clashing cultures. The best way to explain the series is that it is an old west town; heck, it even had a saloon with hookers! And each episode is based around which questionable “cowboy” decided to roam into it that week…. well, until the war started that blew this show out of the complacent into the realm of awesomeness. The War of the Dominion. I remember watching each of these episodes back in the 90’s, leaning forward on my seat. Of all of the TV shows of Star Trek, this is the greatest soap opera of all of them. It is ambitious, you can just feel the writers throwing ideas at the screen, trying to see what sticks. Luckily what stayed on the screen bloody worked. It is always driving, uncovering mysteries, no matter how dark. All on a space station that never freaking moves! Going back through this series now, what is the most fascinating to me, is how much it is a practice run for Ronald D. Moore’s wonderful Battlestar Galactica (I wrote about it in the past here). The same biblical metaphors are there, the same conflicts, the same questions about war, and what makes a good person good and a bad person bad. Yes, one is easily the mirror to the other. 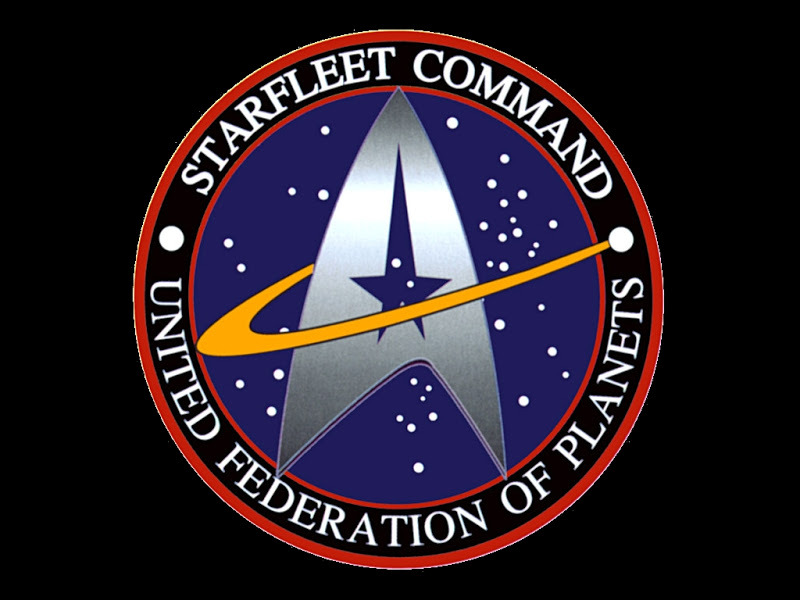 One of the things that really made Star Trek and Star Trek: The Next Generation feel welcoming to us as viewers is the relationship of the characters. You feel like you are one of the team, and we are all on a fun adventure together. That is not here on Deep Space Nine. People are more alone here, struggling, and you never knew who was going to survive from episode to episode; and alliances and friendships are always evolving. Yes, it is very different from any of the other Star Trek show. Yes, dark, but oh so much fun. This show had probably the best premise for possibility than any of the other shows produced around the saga. I would even go so far as to say the premise might be better than the idea of a spaceship simply exploring space (with or without over a thousand people, including families, on board like a cruise ship- sorry Next Generation). Voyager begins with that slick-looking ship chasing down some revolutionaries around Deep Space Nine. Suddenly they are pulled into the Delta Quadrant, placing them thousands and thousands of light years from home. The ship is also dealt some damages so they are forced to enlist the help of the questionable people they were chasing in the first place. But even with the help, there is no guarantee that any of them will get home. They can’t even communicate with their families, lost in the great expanse of space. Wait! They didn’t just balk, they faltered and tripped! Not coming up with any aliens or stories unique to themselves, they sadly took from Next Generation like a hungry guest at an all-you-can-eat buffet, bringing back Q (a God-like trickster that was a mainstay of Next Generation), characters from Next Generation (Lt. Barclay, Counselor Troi), and even stole the most famous Next Generation season finale! Yes, Captain Janeway also became a member of the Borg just like Picard! I couldn’t help but groan outloud when I saw it happen… in both freaking viewings. Did I mention the Borg? That deserves a rant- Voyager seemed to do more damage to this horrifying villain than any of the other times it appeared on the other shows, almost weakening it down to a 2D horror monster as compared to the terrifying and driving force it was in Next Generation. And when 7 of 9 joined the cast (which I can’t tell to this day is because of the character’s potential for stories or for drawing the eyes of 13-year old boys), you almost are taught to pity these villains. Yet, of all of the shows, you can’t help but feel like there was a lot of love around it. I kid you not, it feels like these characters, this cast, really liked working together. Nothing ever felt forced and they all seemed to be hiding a smile when together, especially in the later seasons. Of all of the Starfleet crews they seemed the most like a family. Yes, it feels like Thanksgiving dinner every day on Voyager. Not great for adventure or surprises, but you can feel the love. The show, named after the ship that inspired all of these great adventures, is also the show that puts the final nail in the coffin… Just a minute, is that what they call that tube thing they used for Spock back in the Wrath of Khan? A lot cooler than coffins I have seen in the past. Personally, being shot into a new emerging planet from a starship sounds like a pretty awesome way to go if you ask me. There are so many problems with this show that it is almost hard to figure out where to begin. I could go on and on about the awful theme song for example, and it would deserve every adjective, but I want to aim more for the jugular. At the heart of any successful prequel is an unanswered question. Something that will give new meaning to the story it is prequeling (Is that a word?). Even with all of the complaints of the Star Wars prequels (and they do deserve them), there was still new knowledge to gather, new insights. Yet, Enterprise doesn’t even have that! If anything it could be argued that the original series with Kirk and Spock could be the original prequels to all of these shows. So would that make this show a prequel to a prequel? As a fan of Star Trek through the 90’s, honestly, this show almost felt like a slap. See, the writers and creators of the other series built up such a thick and rich universe that to go back to the “beginning,” taking away from us our soap opera, it felt cruel. It also couldn’t help but make it all feel strangely moot. Ferengi, Borgs, Dominion Wars, Delta Quadrant. Forget all that! Throw your Star Trek Encyclopedias away! We are going to another time in the history! And in going back as they did, they made any continuing in that more interesting period in history lost. 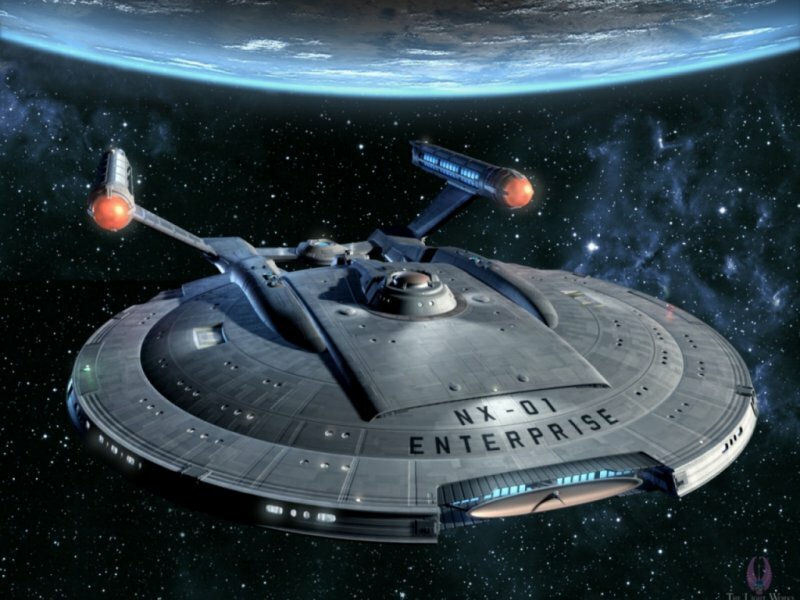 Yes, Enterprise was a bitter pill, and all of this is before the first episode even aired. While aliens on Star Trek can sometimes look a little silly (Can you imagine the writing tables- “Give this one a big forehead!” “I know big ears! Let’s do wild ears again!”), they each had something the aliens on Enterprise didn’t have, the threat of “new.” See, we know in each episode of Enterprise that everything will be okay, at least okay with the characters and period we care about, because we have seen it! Making it all seem rather trivial and pointless. Rewatching these episodes it is not surprising the show ended so early. The writers seem to frantically scramble to generate ideas to save the shows; but the show, hilariously enough, ends as an illusion, a holodeck program being played by Commander Riker and Counselor Troi on the good Enterprise. The writers of the series said they liked to think that finale was a salute to all of the shows, but really it is a perfect period at the end of a lackluster sentence… a sentence that should have been edited out after some careful thought. 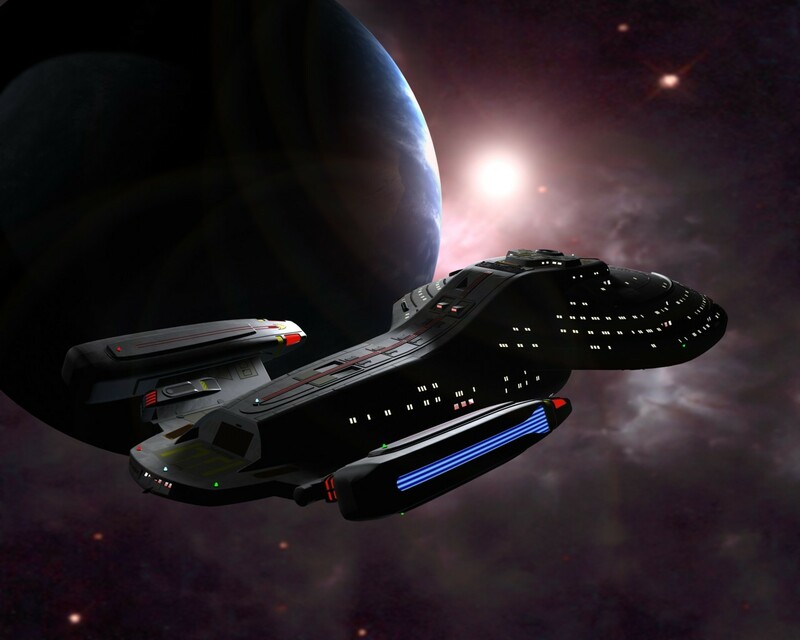 Someday Star Trek will return to TV. I kind of look forward to that. What can I say? I miss Data. If you liked reading my article, why not check out some of my published books? 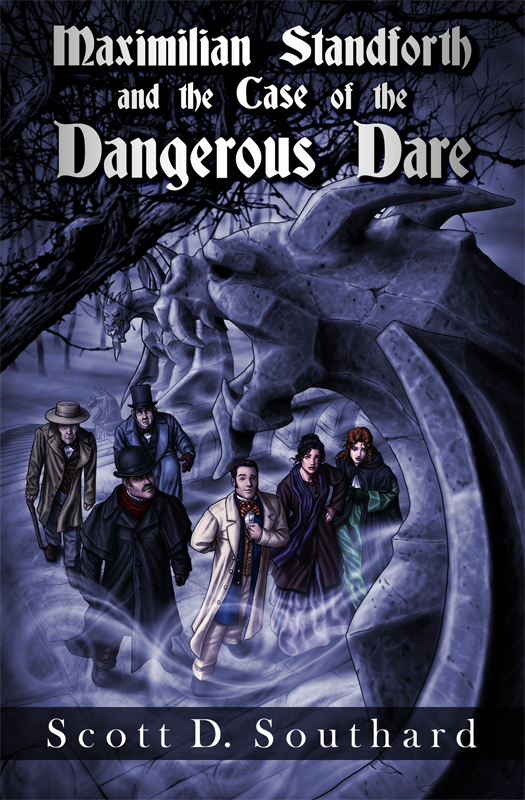 I’ve had four novels published in the last few years, the new A Jane Austen Daydream, Maximilian Standforth and the Case of the Dangerous Dare, My Problem With Doors and Megan. You can find them via my amazon.com author page here, or Doors and Megan as an eBook on Google eBooks here. Thanks for reading! This entry was posted in TV and tagged Battlestar Galactica, Borg, Data, Deep Space Nine, Enterprise, Gene Roddenberry, Kirk, Paramount, Picard, Prequels, Q, Ray Bradbury, Ronald D. Moore, Science Fiction, Scripts, Spock, Star Trek, Star Wars, TV, Voyager, Writing by Scott D. Southard. Bookmark the permalink. You summed up perfectly my issues with Enterprise (and that Rod Stewart theme song…aaagh!). I’ve always had a soft spot for Voyager. Like any of the others, it had its share of issues (I even preferred Kes to Seven), but it had the most solid sense of journey to it, an ever-present sense of purpose. And like you said, the cast felt natural and comfortable. Blasphemous as it may sound to some, I’d even say Janeway is tied with Picard for my favorite captain! I don’t know what Kes is doing now but she should have a career in audiobooks. What a great reading voice! I like Janeway and the crew but it is surprising how light the show is. I’m not saying it should have been like Battlestar Galactica (where they literally in the title credits countdown the number of survivors), but it would have been nice to have some more angst in it. Tell me about it – Jennifer Lien has one of the most appealing voices I can think of!